Today I'm excited to bring you a blog hop with some of the awesome ladies in the Art With Heart Stampin'Up! Team. 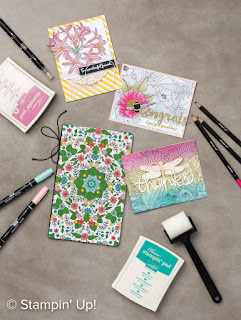 Today we focus on the new Occasions Stampin'Up! Seasonal Catalogue and also Sale-a-bration, you can choose a free item with every $90.00 you spend in one transaction. 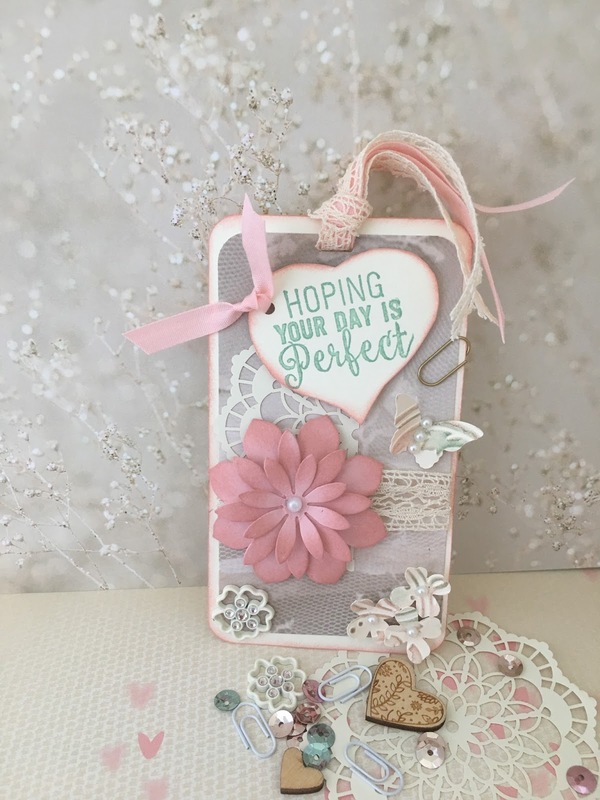 There are lots of fabulous free items to choose from (ask me for a brochure and an Occasions Catalogue) and the promotion goes right through until 31st March. 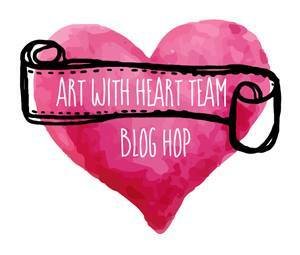 Better still, become part of our awesome fun, friendly and supportive Art With Heart team. 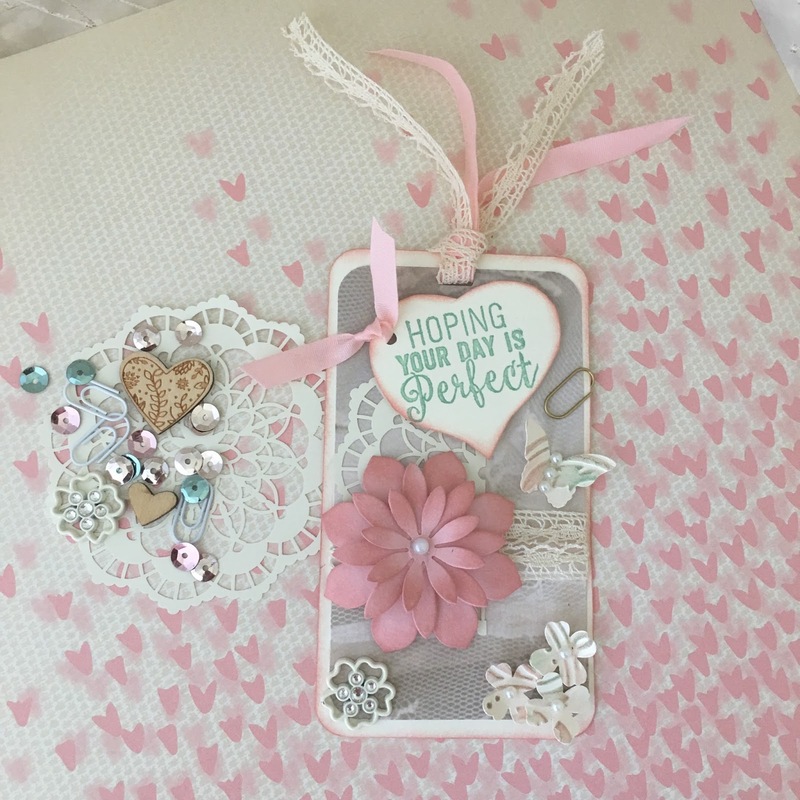 We have a really large team Australia wide that has been around since Stampin'Up! came to Australia. We have a very active team forum and also and also have in person stamp days, challenges, card swaps, products shares and more. When you join with me during Sale-a-Bration, you get 2 free stamp sets of your choice (of any value) plus $235.00 product (whatever you choose). That's up to $414.00 product for just $169.00. You also get free postage! It's quick and easy to join online too. Ask me about joining today. 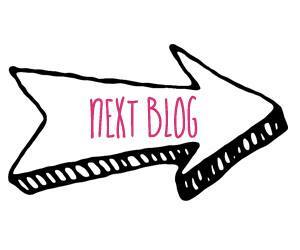 You have come from the lovely Kathryn Mangelsdorf, blogs are full circle so you can start hopping here and then at the end of each post is a link to the next. There is also a list of participants at the end in case of any broken links. 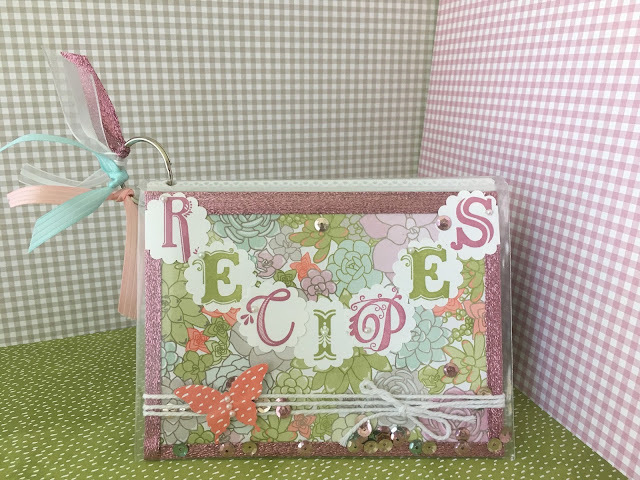 Today I am sharing 3 projects, the first one is a Recipe Book using a brag book I bought from the Reject shop as you can remove the covers and put your own in. 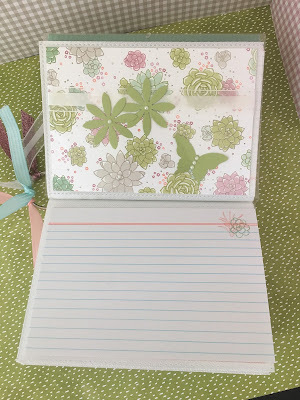 I used the Oh So Succulent Bundle and the Succulent Garden Specialty paper (DSP) and cut them to fit the pages. 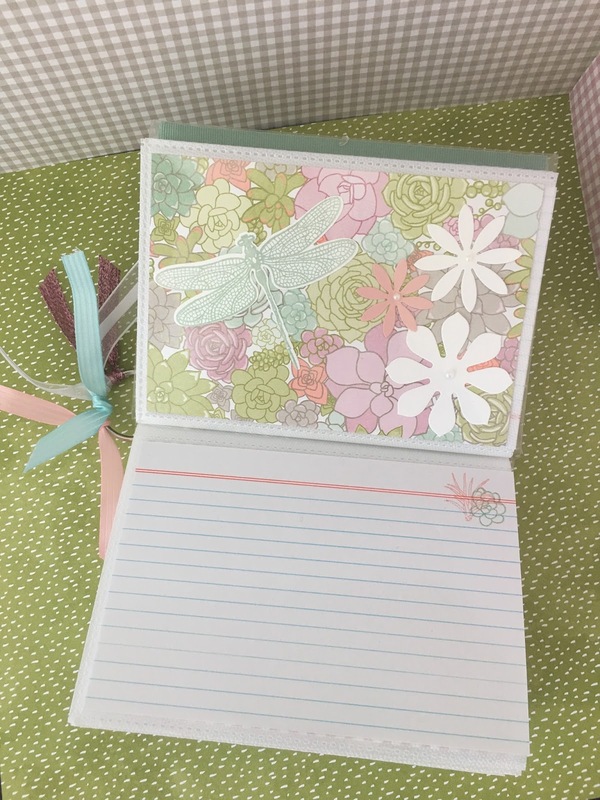 I also used the Dragonfly Dreams Bundle. 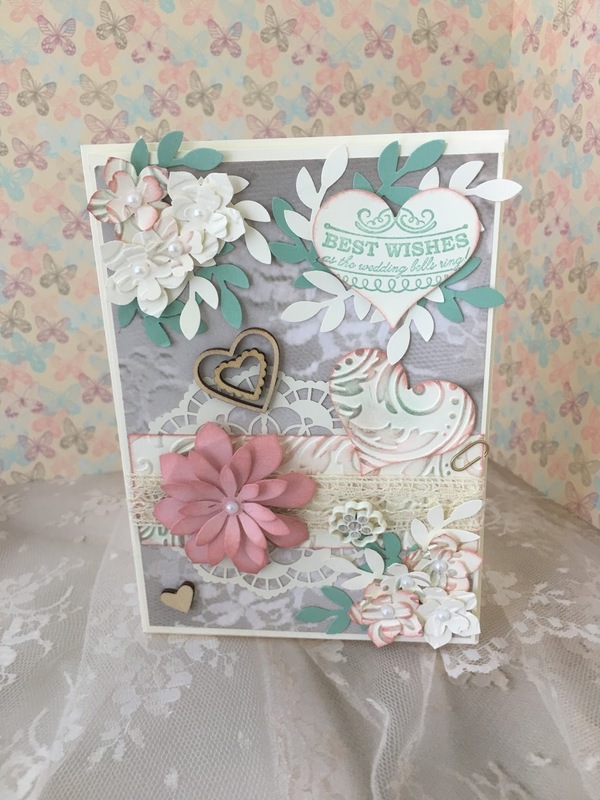 For the ribbons I used Whisper white, blushing bride, mint macaron and glitter sweet sugarplum (which has now retired). 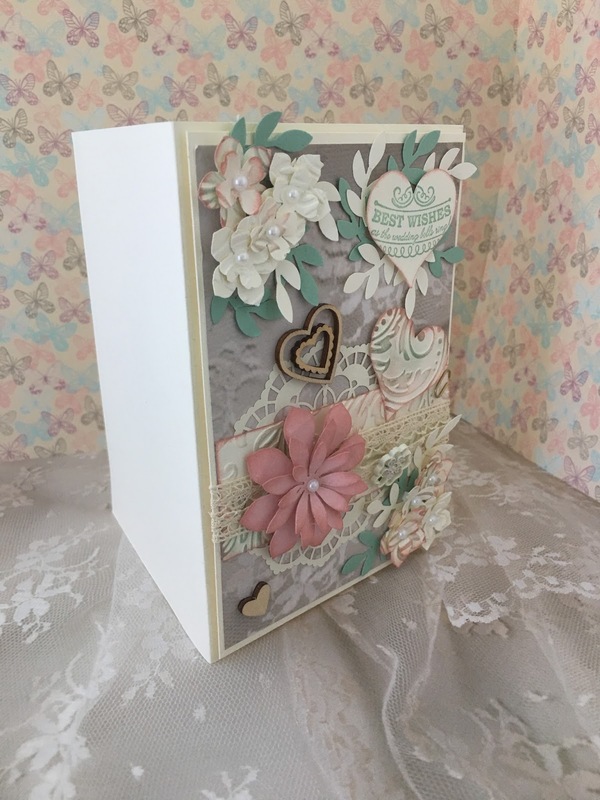 I used some sequins that I had left to add in the front cover, and whisper white bakers twine. I added a key ring so you could hang it up in the kitchen for quick access. So each page has a decorated DSP and a recipe card. The cards were bought from Office Works. 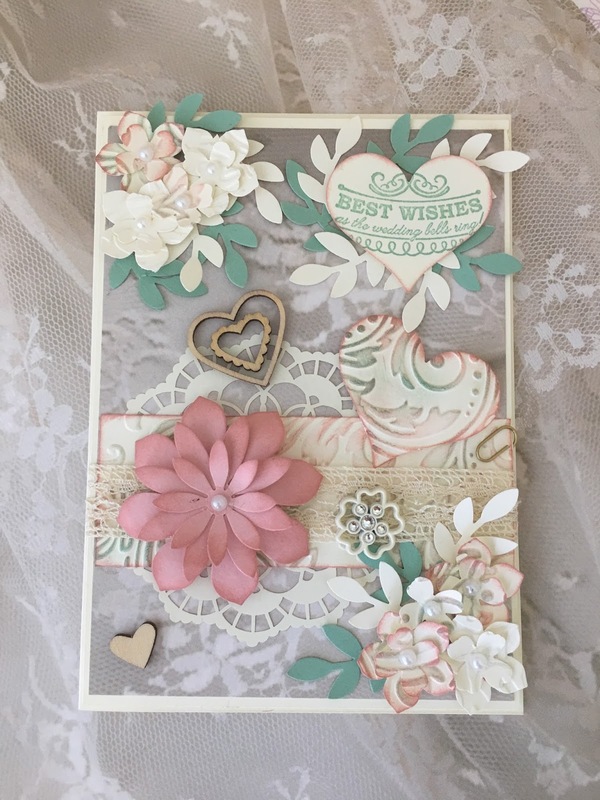 My second project is a vintage wedding card. 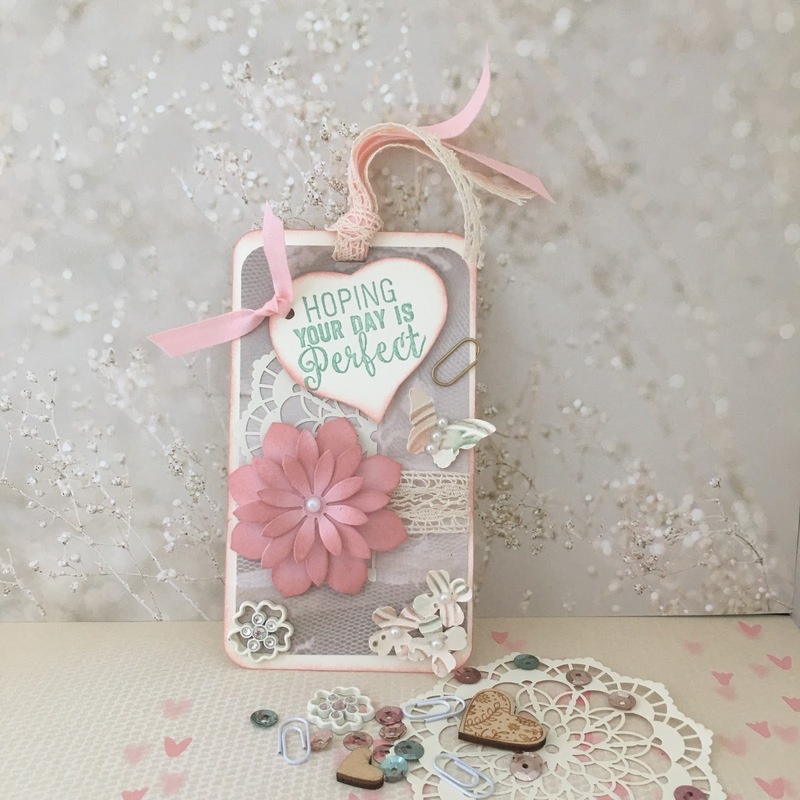 I used the Falling in Love Specialty DSP paper, Lace Doilies and Falling in Love metal flower embelishments, I also used Sending Love wood embelishments and the mini paper clips from Sending love the ribbon is Very Vanilla Lace Trim. The flower was cut out using the Succulent Framelits Die and sponged the edges with Blushing Bride. 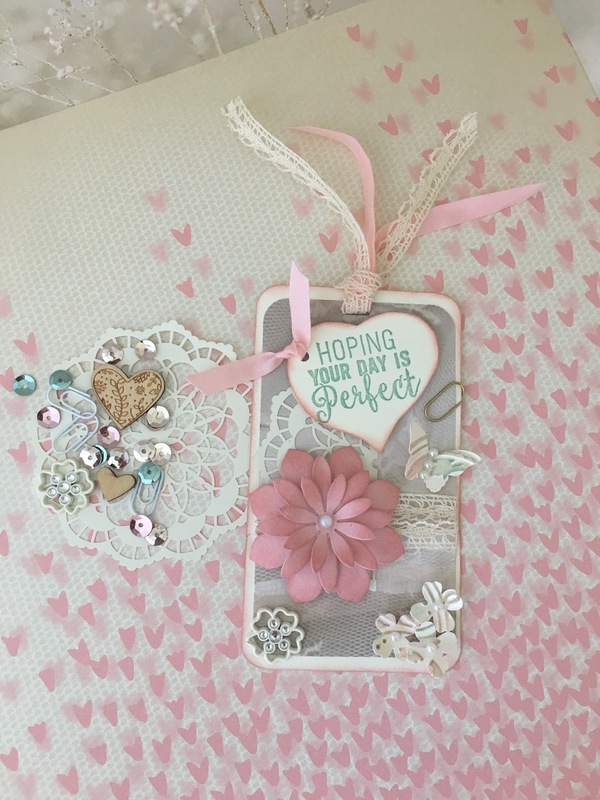 And my final project is a matching Vintage Wedding Gift tag. 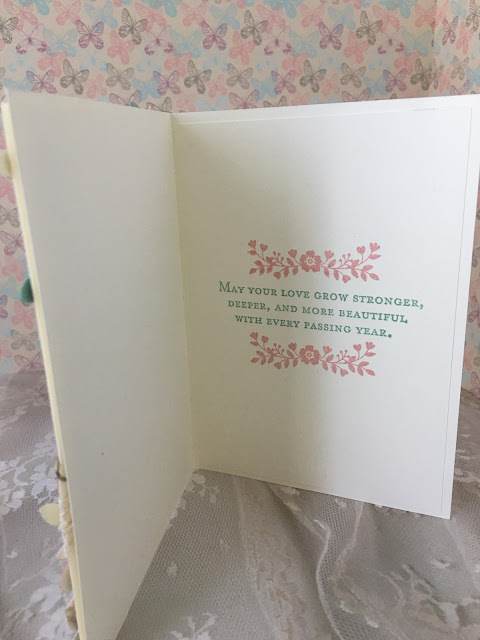 I used pretty much the same items as I did for the wedding card. Hope you are enjoying the blog hop so far. Hi everyone, the new Occasions Catalogue AND Sale-A-Bration catalogue BEGIN NOW!! Earn yourself FREE Stamps sets, DSP Designer specialty paper and lots more. 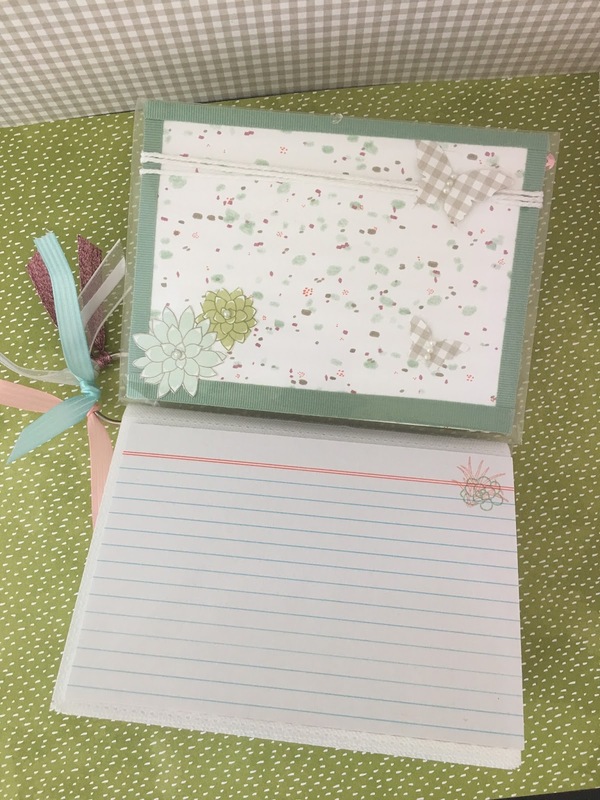 For every $90.00 you spend (before postage) from the Occasions Catalogue you can pick anything from the SALE-A-BRATION Catalogue for your free item. To download your copy just click on the catalogue which is on the right side bar. If you would like a hard copy of any of the Catalogues let me know and I will be happy to post one out to you, happy shopping!! !